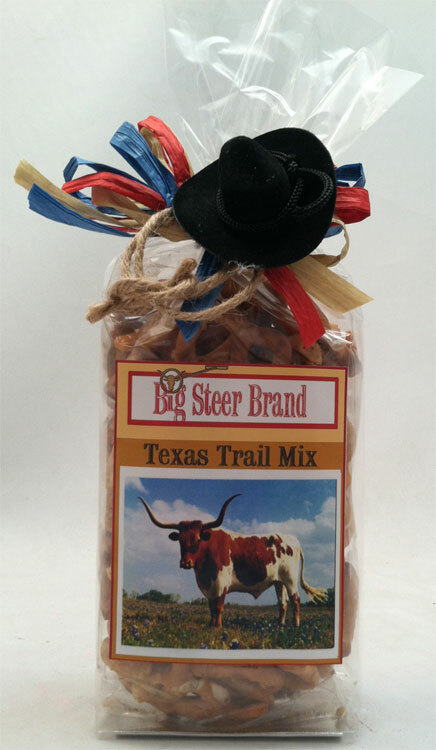 6 oz snack mix topped off with a felt cowboy hat, lariat rope, and a raffia bow. The label has a Texas Longhorn standing in a field of our state flower, Texas Bluebonnets. Available for your convention. Call or email us about your event!